Happy Halloween . 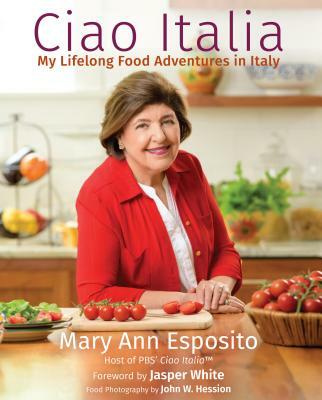 . . Ciao Italia Style! Okay, so it's Halloween and that means candy and treats and, perhaps even tricks. It also means pumpkins. For most people pumpkins are for carving and for scooping out the goop with the seeds in it (gross), sorting out the seeds, baking them, and eating them (delicious). Of course, here at Ciao Italia pumpkins are also used for making excellent Pumpkin-Filled Pasta! Cappellacci means big hats and Cappellacci di Zucca are pumpkin-filled pasta from Ferrara, where the people are known as magnazoca or pumpkin eaters. They use pumpkins in a number of their dishes. These are shaped like half moons and served in a butter and Parmesan sauce and sometimes sage leaves are added to flavor the sauce. Bake the pumpkin at 350F for 40 to 50 minutes. When cool enough to handle, scoop the pumpkin from the rind and set aside. When completely cooled, mix in the rest of the filling ingredients. Make the dough by hand or in a food processor. Divide the dough into 4 pieces and work with one piece at a time. Roll each piece into a 5-inch wide strip no more than 1/16-inch thick, or use the thinnest setting on a pasta machine. Use a 3-inch square or round cookie cutter to produce individual pieces of dough. Place a heaping teaspoonful of the filling on the center of half the pieces of dough and cover with a second piece. Seal the edges with a fork. Bring a large pan of salted water to a boil and cook the cappellacci in batches until al dente. Scoop the cooked pasta onto a platter and pour the sauce over each layer. Note: You may use tomato sauce instead of the butter sauce.